Having partially recovered from a bout of man-flu, I decided it was time to explore a bit further afield and I set off for the centre of Lima. I chose to use the relatively modern bus link, known as the Metropolitano, a fast bendy-bus service with dedicated lanes. Although I had to stand for the entire journey, both ways (about 20 minutes in each direction), it was well worth it. It is only a limited service at the moment, although I have read that there are plans to extend it. It is so organised compared to the rest of the local buses and colectivos. I arrived in central Lima at an appropriately named Estacion Central, a below ground facility in which there are numerous shops and a few eateries. If you have been following my blog, you will know that I have spent some time searching for socks, without too much success and almost wearing out a pair of shoes in the process. 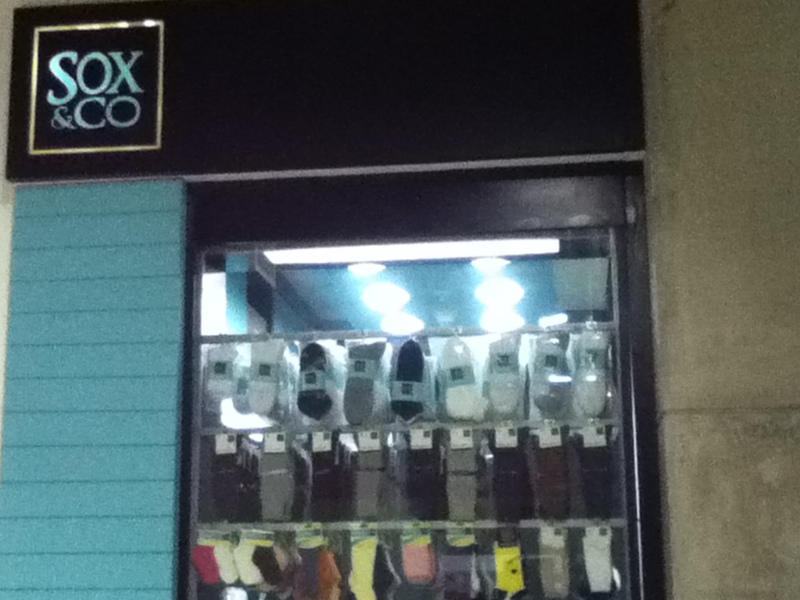 Well, as sod’s law dictates, the very first shop I saw as I entered the concourse was , a shop dedicated to nothing but socks. I wouldn’t want it any other way. 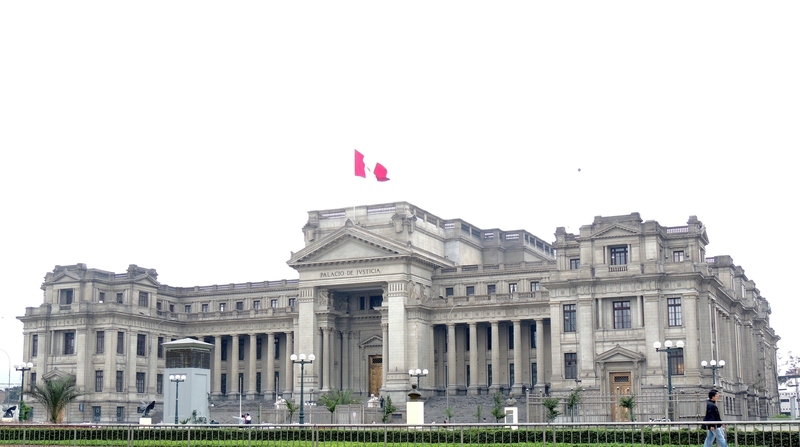 Onwards and upwards, emerging from the bus station into the daylight, my first view was of this imposing structure, The Palace of Justice. I walked on for about five minutes until I came to a busy intersection. I was watching the countdown on the traffic light which tells you how much time you have before the lights change, when, with just two seconds before the lights would change from red to green in favour of pedestrians, a car came speeding through with it’s horn blaring continuously. Like many of the drivers here, he was too impatient to wait and hurtled recklessly through the crossroads, heading straight toward a young woman who had started to cross the road. There followed a squeal of rubber on tarmac as he tried to brake, then a sickening thud as the car struck the woman. She was thrown into the air and bounced off the windscreen before landing on the hard surface of the road. The people nearby appeared stunned at first as the poor woman lay in the road. They then started to gather round her, either to protect her or just out of curiosity. The traffic however, was just as unforgiving as before as the drivers tried to squeeze through the reduced width of the road. The emergency services took an age to arrive, which is not surprising as the motorists are as unwilling to give way to them as they are to pedestrians. The police arrived first, making some attempts to control the situation and prepare for the arrival of the ambulance. I spoke to a police officer and told him that I had witnessed the incident. He directed me to another officer, who, when I repeated that I was a witness, said, “no hay problema” and walked away leaving me stunned with disbelief. There clearly was a problem, a young woman was lying injured in the road, struck down by a maniac who was a menace to the public, pedestrians and drivers alike. It baffled me as to why the police would not want statements from everyone who witnessed the event. More interest and dedication was shown by the street vendors who quickly descended on the gathering crowd, selling all kinds of sweets and snacks. Now there’s food for thought. I started to walk on, my mood somewhat soured by what I had seen. Then it started to rain, so I restricted my tour to the exploration of a couple of shopping centres and making mental notes of landmarks for when I return, probably at the weekend or early next week. This entry was posted in Recent Activity and tagged Estación Central, Lima District, Lima traffic, local transport, peatones, Peru. Bookmark the permalink.